The science of pet odor removal has improved over the years. We have enzymes, masking agents, bonding agents, rinse procedures, drying agents, acid rinses and so forth. This leaves the home owner with an odor and confused. The truth of the matter is no urine problem is equal. One technique maybe successful and another one may not. This is why it is important to get a quote first. 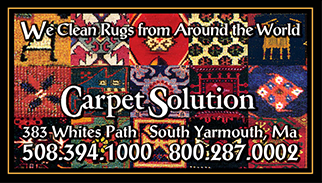 THE CARPET SOLUTION uses many techniques to tackle the worst odors. We use all different state of the art products and techniques that are certified by the IICRC and are approved products to use on your carpeting, rugs, and furniture. We may be able to remove the odor but the stain maybe permanent. Please call for a free professional assessment before cleaning. There is no charge and we will do our best to solve the odor problem.